The twin island nation of Trinidad and Tobago is the southernmost nation of the Lesser Antilles. 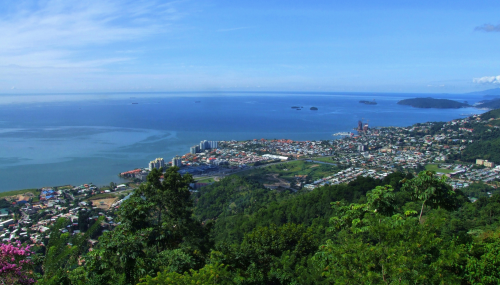 Trinidad is more industrialized and Tobago is more laid back and secluded. Trinidad's economy is more dependent on its petroleum industry and Tobago depends more on tourism. Even though they share a common history since 1889 when they were joined as a British Crown colony, there are unique differences that define each of the islands. 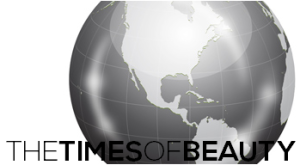 Trinidad and Tobago is the birthplace of the ever popular calypso, soca, steelpans and limbo. It features each year one of the most popular carnivals in the planet. The island nation is very diverse with Amerindian, European, Indian, Chinese and Middle Eastern influences in their culture and history. The island nation became independent in 1976. In Miss World, Trinidad and Tobago won the title in 1986 with Giselle Laronde and has a successful history on this pageant. This year, Athaliah Tizrah Samuel, Miss World Trinidad and Tobago 2012, will represent the island nation in Ordos. The Times of Beauty proudly presents Athaliah Tizrah Samuel, Miss World Trinidad and Tobago 2012, in an exclusive interview for our interview series, Meet the Misses. I am Athaliah Tizrah Samuel, 24 from John John, Port-of-Spain, Trinidad and Tobago. Athaliah in Hebrew means “God is exalted.”Historically, Athaliah was the first and only female ruler of Judah so it seems fitting that I should be appointed my country’s representative to Miss. World. In the competition’s 62 year history Trinidad and Tobago won only one title: in 1986. I am hoping to become my country’s second “Miss. World” title holder. your own adventure and discover the unexpected with a vast choice of festivals, fun events and a host of other adrenaline generating activities. predominantly agricultural plains of Central Trinidad strike a fascinating contrast. reefs teeming with rich marine life. I am currently studying for a Degree in Mass Communications. My long term goal is to become involved in the field of Public Relations but my medium term goal is to establish an Academy of Dance in my community to help young men and women develop discipline and to help keep them away from crime and gang violence. I live in what many people consider to be a crime hot spot so it is important for me as Miss.T&T World to do as much as I can to enhance my community and to give back in a positive way. I am a professional dancer and a model so I want others to have every advantage that was given to me so that they can have options as well. My short stint as a Remedial Teacher because I reached children who had been written off and they were able to see significant improvements in grades in every subject and this gave their confidence a much needed boost. I can get lost in a good book or if I am out with friends having fun. Family lunches and get togethers are usually idyllic occasions too. We can sit at the dinner table and talk for hours. I come from a close knit family so every time we get together we get an opportunity to celebrate successes or mourn losses and generally reconnect and strengthen the ties that bind. I am bold, adventurous, unrelenting in the pursuit of my goals; playful and down to earth and generally easy to get along with. 6. What is something you know you do differently than most other people? I am unique and sometimes very unorthodox in my methods. I usually like to think outside of the box so truthfully I would have to say that my approach to problems and problem solving would be very different to the methods used by others. I walked the runway at Tobago Fashion Weekend in May and did a photo shoot with one of my country’s emerging fashion photographers (Marlon “Adrenaline” Haynes). My “Beauty with a Purpose” project involves feeding the homeless so actually going out onto the streets and meeting street dwellers and listening to their stories has, in a real sense, been memorable. There are no secrets to success. It is the result of preparation, hard work and learning from failure. The only real failure in life is the failure to try. The only way of finding the limits of the possible is by going beyond them into the impossible so for me it would be far worse to never try than it is to try and fail. 9. If you could teach anyone (a person past or present, a group of people, or humanity) anything (a subject, lesson, value, or skill), what would that be? I would want people to understand the true power of words and I would want people to learn to encourage and support one another rather than criticize and hurt. Since being appointed Miss. Trinidad and Tobago World I have had to face a lot of negativity, threats and harsh comments concerning my looks and my level of preparedness. Sometimes it gets to me and I cry but generally I have been able to rise above the negativity and keep my focus. In fact I am more determined than ever to do well at Miss. World and silence my critics but there are young women who might not be as tough as I am and I would want bloggers and pageant fans to be mindful of the feelings of others when making comments on public forums. Beauty is more than skin deep. A Miss. World title holder has to embody the true meaning of “Beauty with a purpose” - that as young women we have to be the change we want to see in the world- we have to use our talents and our hearts to make a true and meaningful difference and touch lives. I have been preparing for Miss. World all my life- I have worked hard, sacrificed and remained focused on my vision and every step of my Miss. World journey must bring me closer to being a more complete and well rounded individual whose main purpose in life is to serve others and to make the world a better place. Personal Motto: Don’t follow the beaten path. Go your own way and leave a trail for others to follow.